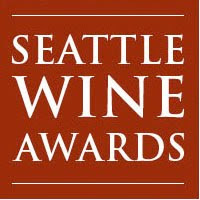 The Seattle Wine Awards was started by Christopher Chan in 2006. Chan, a certified sommelier, serves as Director of Wine & Spirits at Seattle's Rainier Club. He says his goal each year is to identify and recognize the Northwest’s best wines. To do so, Chan has tasting panels sample through hundreds of wines over several days. Each panel is composed of five people, including local sommeliers and long-time industry leaders such as Jay Schiering (Mccarthy & Schiering), Phillip Dunn (Canlis), Jeff Fournier (Esquin), Jake Kosseff (Wild Ginger Restaurants), and Amy Mumma (Central Washington University). Wines are grouped by variety, but the panel is otherwise blind to information about the wine, including price. The panel generates a consensus score, and medals are awarded to wines that receive scores above a specified level. Awards are given based on both variety and price category. That’s the hard part. The easy part is celebrating the wineries that have received medals. The Seattle Wine Awards holds a Grand Awards Tasting each year. The event takes place at the incomparable Rainier Club (a dinner here played a significant role in my falling in love with wine I must add). Unlike most events, all of the wines poured at the Grand Awards Tasting are medal winners with the winemakers on hand pouring. This year’s Grand Awards Tasting takes place on Sunday June 13th. Tickets are $125 for VIP admission (2pm to 7pm) and $85 for General Admission (4pm to 7pm). These prices are discounted $25 until April 30th. Chan describes the Seattle Wine Awards is a “labor of love.” When he started the event in 2006, 274 wines were submitted. The following year 454 wines were submitted. This year Chan expects almost 800 wines to be submitted. Chan says the Seattle Wine Awards is “ultimately all about the consumer” with the goal of helping people identify the highest quality wines. More about the Seattle Wine Awards and ticket information here. This sounds like a fantastic event. 800 wines is a daunting task for any wine lover. I wish them the best of luck and may the best wines win! In 2009 we took home a Gold for the Ice Wine ($25), Double Gold for the Riesling ($10), and Gold for Washington Cabernet ($20). Just sayin'. JJ, based on the wines I sampled earlier this year, I'm sure Kiona will be taking home a few more in 2010! judges listed are not accurate. Anon 9:52pm, thanks for the comment. The judges listed above include people who were invited to participate in this year's tasting panels as well as people who have participated in the past.